The kitchen is the main selling feature of just about any home. In fact, the average return on resale for a kitchen remodel is over 98 percent of your investment. If your kitchen has not been updated since the 1980s or earlier, consider a remodel. However, if everything is in good shape and is not too outdated, you can simply update a few things. Refinishing cabinets and updating the hardware along with a good paint job and deep cleaning might be enough. Update your floors with new vinyl. If it’s too costly to replace all your countertops, just replace the countertop on your kitchen island. Replace the sink and install a multi-functional faucet. Install lighting under the cabinets. Update the oven vent with a stylish option. A simple update can improve a bathroom dramatically if you don’t need any major repairs. First, make sure that everything is clean and serviceable. You’ll need to replace damaged toilets and sinks, and ensure that your line doesn’t clog easily. After that, you can do a number of DIY projects in the bathroom. You can easily replace faucets and light fixtures, change out bathroom doors and upgrade your shower head. Regrouting tile is a good idea for most bathrooms. If you don’t want to replace the vanity but it needs an update, you can refinish it with paint or stain and change out the hardware. Here are 20 bathroom upgrade ideas that don’t cost a lot of money. These are small projects that most people can handle without investing in a contractor. 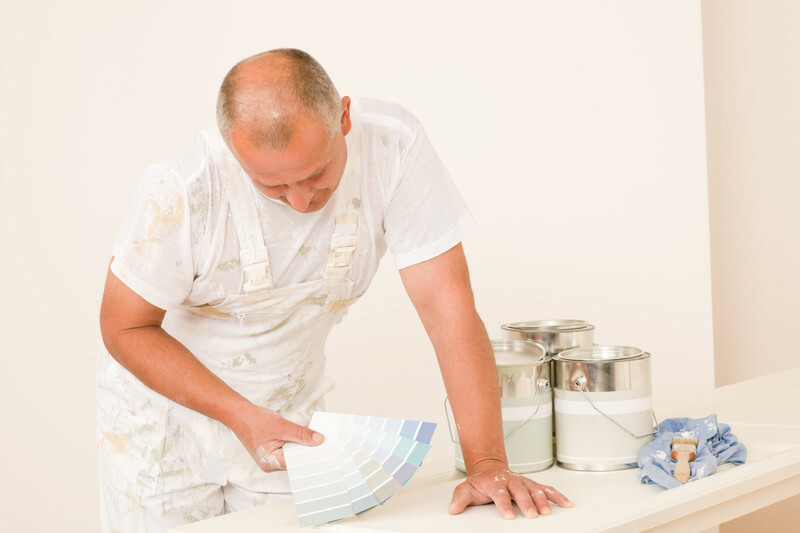 Some projects that require little skill include interior painting, filling in small holes, replacing fixtures or outlet covers, varnishing a wood deck, and power-washing a fence. Remember that staging your home for an open house is a good investment, too. If a roof must be replaced, buyers may not consider buying your home, so replacing a damaged roof is worth the investment. According to Remodeling Magazine’s 2018 Cost vs. Value Report, a new roof increases home resale value by more than $14,000, nearly 70 percent of the typical cost to install. Improved roofing also increases curbside appeal. Selecting the right roof can also improve the energy efficiency of your home. However, if the investment is too steep, making major roof repairs can be very cost effective. The key is to track down where any internal damage is coming from and updating old shingles. Cleaning or repainting the gutter will help improve the look of the roof as well. You won’t get prospective buyers into your home if it doesn’t have curb appeal. Prune back trees and bushes, primp your lawn and plant easy-to-maintain flowers and bushes. Adding an eye-catching mailbox with a brand new post and potted plants can be inviting as well and are easy on the budget. You also might want to power wash the outside of your house. Strategically using rocks and colored wood chips can give a quick and easy solution for landscaping if you don’t have a green thumb. Think about decorative touches, too. A pretty door knocker and matching door knob, window shutters and an all-season decorative wreath can bring a warm and inviting air to your home. Upgrading the value of your home can be achieved with carefully selected, budget-friendly projects. Carefully plan your time and DIY projects to get the best resale return on your investment. Is your DIY To-Do List adding up? Call in a professional helper!